Mountain bike, downhill, freeride, enduro, e-bike, fat-bike, they’re all words which refer to a fascinating world: the two wheels world. 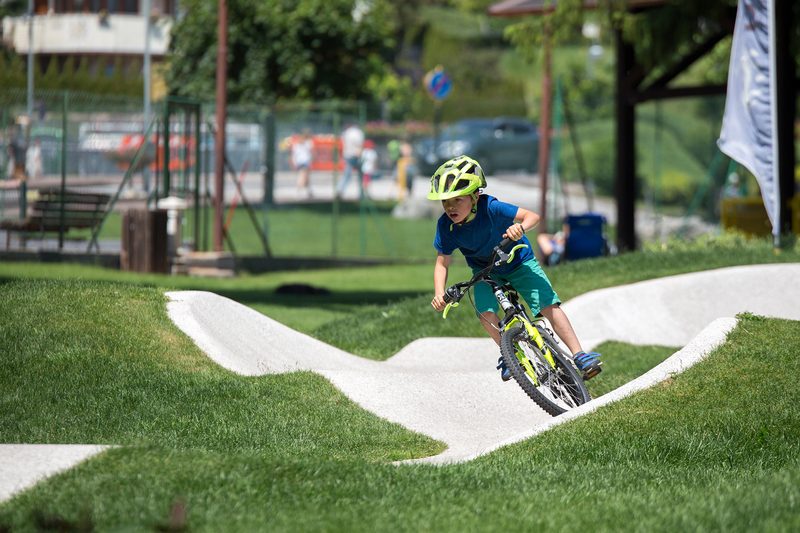 On the Paganella plateau you can try different disciplines, while having fun. Londra Hotel is awaiting for you with exclusives services which will allow you to live your passion fully but also with good advices to spend sunny days in the name of the outdoor sport. Possibility to have a shower and deposit the suitcases the deportare day. 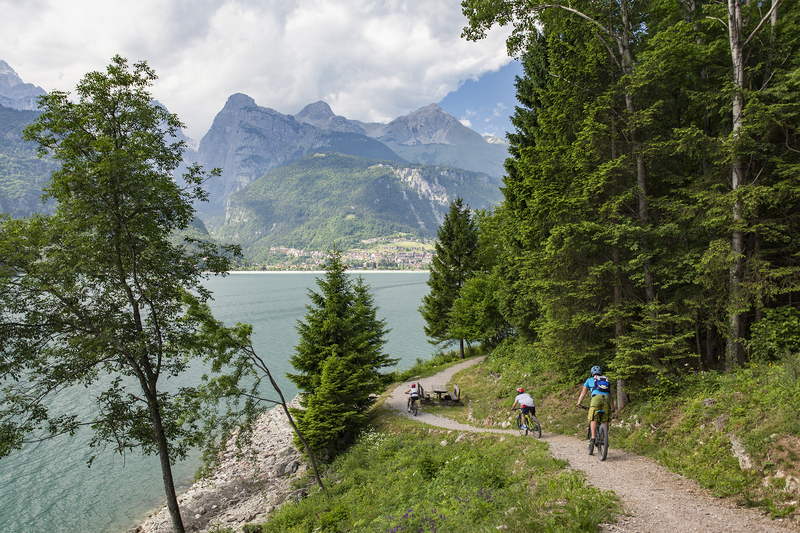 Ask for your bike pass to use the cableways of Andalo, Fai della Paganella and Molveno to face exciting paths. The most experienced passionates can get in touch with nature while crossing the fauna park of Spormaggiore. 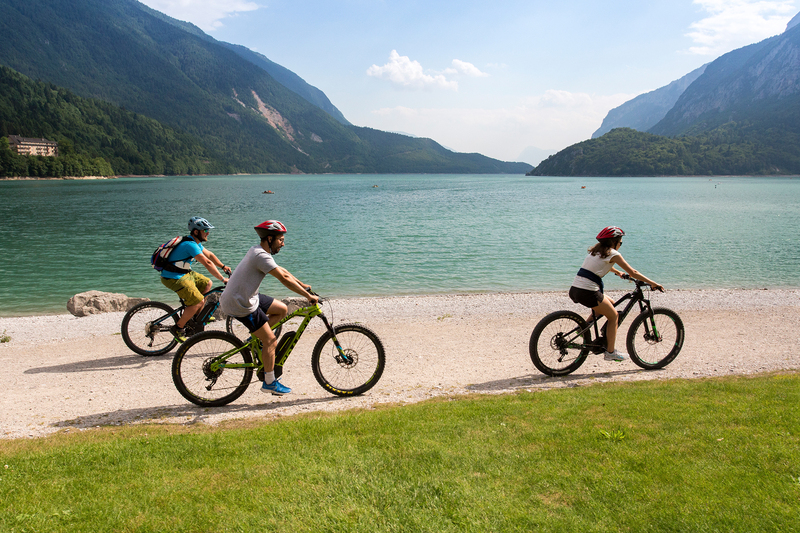 There are infinites opportunities also for those who enjoy cycling in relax and while looking the stunning Dolomites. Ask our contact person, he will guide you toward the choice of the most suitable tour. We love environment and we Wish to give our guests quality services. For this reason you can rent some E-bike to enjoy every single moment also with your child, indeed one of them has a baby seat. 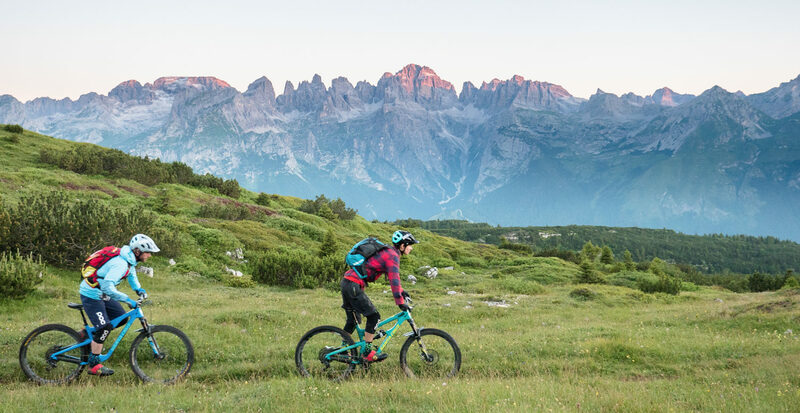 Pedal assist will enable you to spend a holiday in the name of wellbeing and you wont miss the opportunity to discover the most hidden corners of Paganella’s plateau. We have decided to make some exciting clips to express the three souls of the hotel at the best, three aspetcs skilfully represented by the logo, and to show you the wonders that await bike lovers. Enjoy their vision by clicking on the play button and let yourself be carried away by the music and images, dreaming your adventure on bike on the Paganella Plateau. To receive a personalized quote for your active holiday please write to hotel@londramolveno.it.